Sweet tooths, rejoice. You can enjoy a breakfast sandwich that tastes like a sweet treat but at only 228 calories and 6 grams of protein is good for you too. 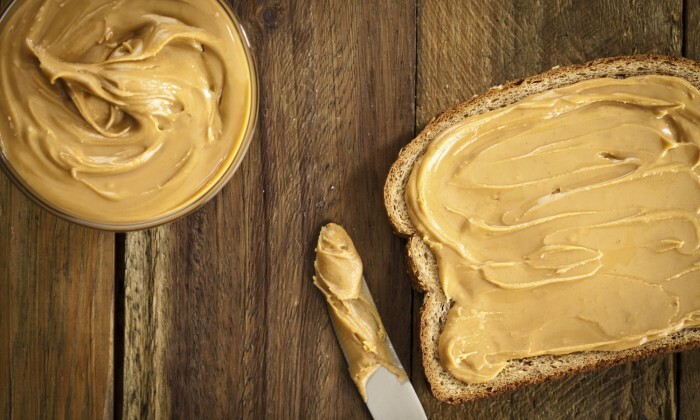 Pair this Crunchy Almond Butter Sandwich, a favorite of Long Island nutritionist Bonnie Taub-Dix, MA,RDN,CDN, with a cup of skim milk for some added minerals and nostalgia (remember when mom served you PP&J sandwiches and milk?). 1 small banana, thinly sliced. Spread almond butter on whole grain bread and top with a thinly sliced banana.